To know the origins we have to come back at the end of 70's, to a punk rock band called Electric Nerves. 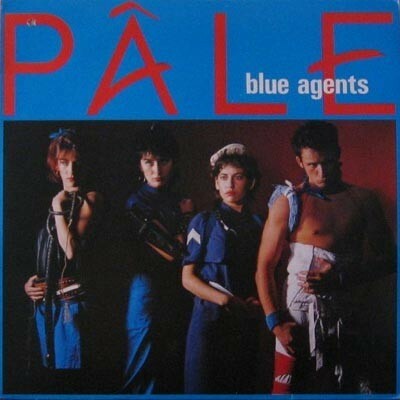 Then the band lose the guitar player and changes the name in Pale T.V., with an atypical formation of 3 girls and 1 man: Francesca "Blue Niagara" (keys), Valeria "Whip" (bass), Alessandra "Lady Adrenalina" (drums), Alex (voice and sax). Their first 7'', 'Night Toys' got a tipical new wave inspiration.The name changes shortly in Pale and in 1982 Blue agents Lp is out. In this period they receive a lot of proposals, including invitations from Caterina Casella, Milva or a possible participation to the Festival of Sanremo. Great blog. But this link is to a Positive Noise ep not the Pale album.